The most important thing when recording your voice, whether it be voice overs, broadcasting, or singing, is the microphone. Invest in a good mic, or a great one if you can afford it. 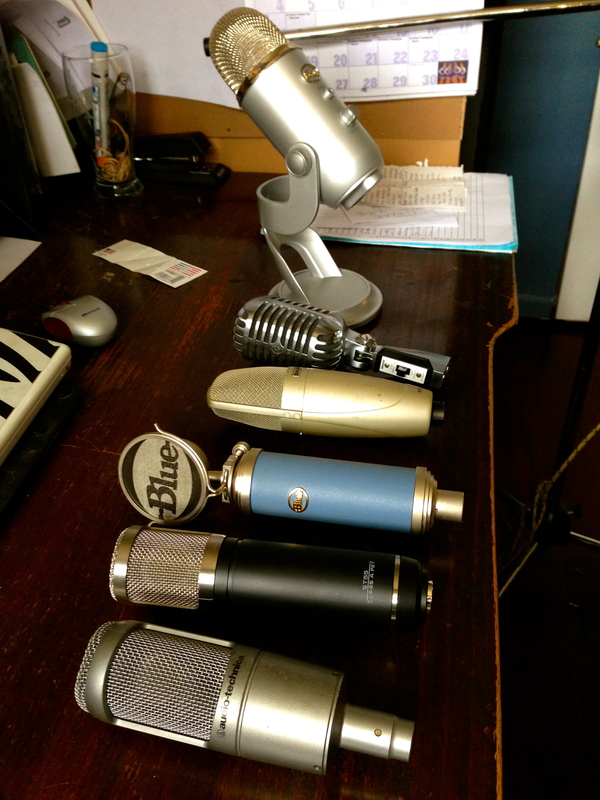 It doesn’t matter which recording software you use if your microphone is below par. I’ve had people send me audio and ask me to fix it. I can EQ it and run some plugins on it, but if the initial audio is bad… it’s bad. I can’t recreate a vocal recording unless I actually re-record it. Is it possible to make a crappy recording a bit better? Sure it is. But we can’t make it good. Save yourself these problems and buy a good microphone. My very favorite mic for the current price is the Shure KSM32. This thing used to retail at over $1000.00 but is now commonly priced at $549.00. Listen, I like this mic at a grand, but for 549 it’s a steal. If that’s a bit out of your price range, try Blue’s Bluebird. Priced at $299.99 it comes not only with it’s own shock mount obviously, but it’s own pop screen made specifically for this model. It’s not quite as full as the KSM32 but it’s virtually half the price and still an excellent mic. My last suggestion for people on a budget that doesn’t even allow for the Bluebird, is Blue’s usb mic Yeti. I’m not a huge fan of usb microphones for professional work, but this one, in my opinion, is the best one out there. As long as you understand, the desk stand that comes with it is made entirely of metal. This means the vibration, and every little sound from whatever surface you’re on, travels up the stand and into the mic. The easy solution for that is to put something soft underneath it. The other issue is that I haven’t found a pop screen that fits this contraption yet.